"Best and only mold remediation company that I will recommend to my property inspection clients!!" "Fantastic experience working with Micheal and the GPS team remodeling my back patio ceiling with stained wood planks. Quote was received shortly after my request and they provided valuable input on the project. The GPS team always followed up on my questions. Once hired, they did an excellent job installing the new wood ceiling on time and in a professional manner. This big project took one week to complete and they always showed up on time and cleaned up after each day of work. One of the best experiences if not the best experience I have had working with a contractor. I would highly recommend working with Micheal and his team. Thank you GPS!" "A tenant discovered a slow leak behind a washer in one of the properties I handle, no idea how long it had been going on but 8 ft of wall had to be removed due to mold. 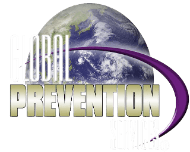 Global Prevention was recommended to me by an associate and they were excellent, timely and did the job right. I am very satisfied with their work and would recommend them highly. Mark Camper West USA Realty." "Fair price, very professional , done on schedule they set !" "Excellent work. I'm very happy with the upgrade to my home. Thanks Global Prevention Services." "Very professional. Excellent work. Would use this company again in a heartbeat!" "Michael and his team were great. I had a lot of carpet that needed to be removed and he was on it. I would recommend him to anyone." "Global Prevention Services in Phoenix, Arizona, had the instruction to restore our home which was partly damaged by water and mold. Parts of walls, floors, kitchen-and bath furniture plus various installations needed to be replaced. We, the owners, live overseas and had neither influence nor ways of control to overlook the forthcoming progress concerning the project, but GPS has proven to be reliable. GPS's estimates were more reasonable in comparison to other companies. All issues like; perfect timing, well trained friendly leading personnel and correct accounts are agenda. Global Prevention Services passed professional inspection and brought full satisfaction to us. Without doubts we can recommend this trustworthy company." "The team at GPS did a fantastic job on my friend's property. My buddy, Bill, is an elderly gentlemen from Vietnam and did not speak English. I was the intermediary between Bill and Michael, and Michael did an excellent job explaining all the details and questions for my friend and I. When Bill went on a two month long trip, a water filtering unit under his sink went kaput and leaked water everywhere. By the time he got back the floors were not wet, but there was mold up to 4 feet on his walls! GPS had replace all the drywall, cabinets, countertops, and a few appliances. While the work took a week longer than expected (Bill had some unique cabinetry that Home Depot promised to have in stock but did not due to the northeastern storm at the time), the team kept in touch with me through phone and email and helped me understand how the home insurance aspect works. I quoted 6 different places and almost went with someone else just as reputable, but GPS's professionalism and customer service (not to mention low prices and a complete breakdown of estimated costs) won me over in the end. I will definitely recommend them to my friends should they need it." "From start to finish, Global Prevention Services was outstanding. I actually called them when the work was completed to ask if I could write a recommendation. Everyone was so helpful and so easy to work with. The work was done in less time than they thought and the workers were absolutely excellent. Everything about Global was amazing and I would recommend them to anyone who has mold or water damage." The word that comes to mind when I think of GPS is PROFESSIONAL--I was impressed with Michael's communication skills and knowledge from the first interaction. He even worked on the weekend to get a work order to us so that work could begin promptly, and juggled the schedule to fit us in right away. We could not be happier with our experience with PGS, and highly recommend them. Even though ours was an emergency situation, they did not try to gouge us, and came in with a very reasonable estimate. Work was done on time and very professionally. Thank you Michael, Rudi and everyone at GPS for your exceptional work!